19332 E. 10 Mile Rd., Eastpointe, MI 48021 · Phone: 586-771-0030 · Fax: 586-771-2169 · Mon-Sat: 9a.m.-8p.m. · Sun: 10a.m.-5p.m. Fairway Drugs is one of the areas leaders in management and education against diabetes. Whether Type 1 or Type 2, we have a team of experts who will help you develop the necessary tools needed to manage the disease. See our full list of services and see how Fairway Drugs can improve your health. Earn points and gain access to special perks as a member of our Rewards Club. Take advantage of our monthly promotions through our Sav-Mor brochure. If you haven't already, visit us today and meet your new healthcare family. To ensure the best care possible, your health care professionals must be trained with a wide array of skills. 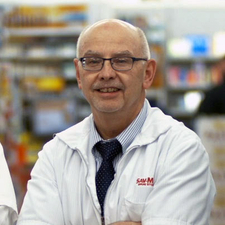 As well as being a pharmacist and one of the store owners, Tom is certified to administer vaccinations such as flu, pneumonia, shingles and tetanus. He is also a certified diabetic educator and provides diabetic self-management education classes on a regular basis. It is important that your health is taken care of by someone who cares. Ken has co-owned the store for over 20 years. That is over two decades of ensuring that customers get the best care possible. Ken is also certified to administer the flu, pneumonia, shingles and tetanus vaccines. 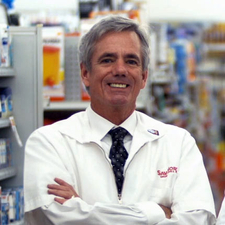 When you are looking for health care advice or information, you can rest assured knowing you have the help of a pharmacist like Ken right around the corner! 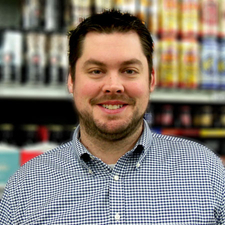 Our employees pride themselves on their friendly, personable customer service, and nobody is a better example of this than Brandon, the store’s General Manager. When he is not taking care of the store’s day-to-day operations, Brandon is connecting with customers and making sure they have the best experience possible. Whether it’s a hard to find craft beer or a special order item, he will do his best to make sure everybody is taken care of. "Excellent place if you're looking to get your scripts filled. They also have the largest assortment of beer around the metro area. And they have free tasting the last Friday of each month...I highly recommend this business." "Excellent pharmacy!! They are extremely helpful, and everyone is professional and friendly. I have been a customer here for over 25 years"
"Best place ever! I've been coming to this pharmacy for about 20 years now, I even moved and travel to come here. Tom, Ken, Brandon, Ally, Dan, Linda, I seriously could go on with names of everyone that is so friendly and helpful."